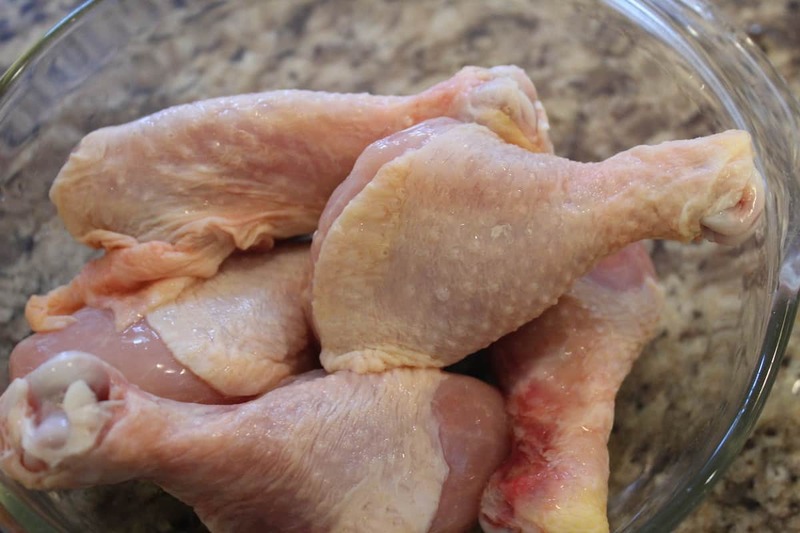 Today, I am showing you a basic recipe for making chicken in the Air Fryer. This is a base recipe, meaning if you swap out the flavors of the rub, you can get a million more recipes. This is the seasoning that I used, my kids absolutely love it. First rub your oil, over the chicken. 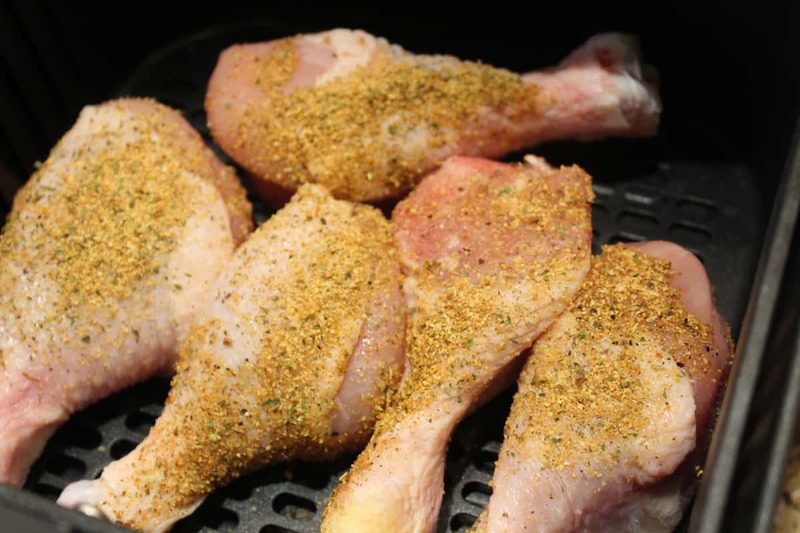 Then season both sides of the chicken with the seasonings above, or use your own blend. Preheat the air fryer to 200 degrees Celsius (or 390 Fahrenheit), for about 4 minutes. Then cook your chicken for 5 minutes, then flip to the other side and do it for another 5 minutes. After the 10 minutes are up, reduce your heat to 150 degrees Celsius (or 300 degrees Fahrenheit) and cook for another 6 minutes. Great recipe….Its definitely going to be a go to in our home from now on. The only thing I chose to do differently was after cooking for 6 minutes at 300 dgrees F, I did step 1 of cooking at 390 for 10 minutes allover again as my chicken was not crispy enough as I used larger organic drumsticks that we managed to come across on sale for $2.33 for 5 puece at our lical neighborhood wal-mart grocery. 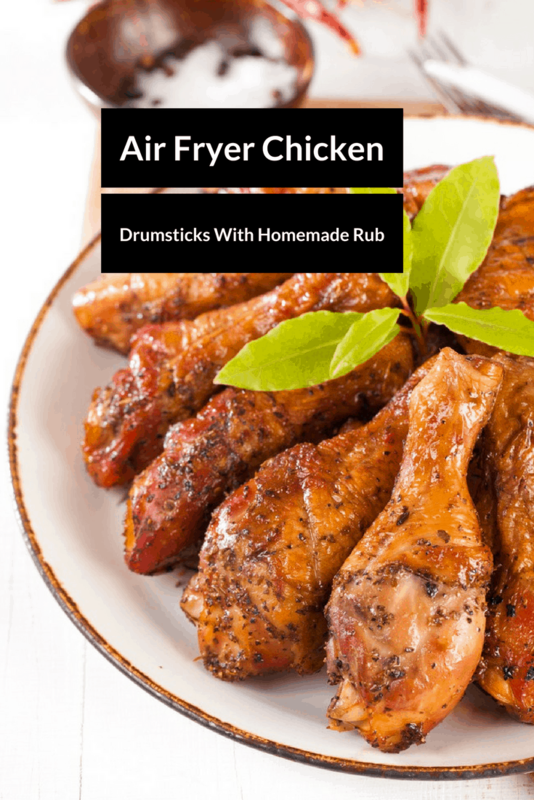 Do you put parchment or aluminum foil under the basket in your air fryer?